The hit musical Wicked is about to celebrate 15 years on Broadway. To celebrate the milestone, the show will air A Very Wicked Halloween, an hour-long special, hosted by original Broadway stars Idina Menzel and Kristin Chenoweth. The star-studded telecast promises performances from Ariana Grande, Pentatonix, Adam Lambert and Ledisi. Current Wicked stars, Jessica Vosk and Amanda Jane Cooper, will also join Menzel and Chenoweth alongside past Glindas and Elphies, including Kara Lindsay, Lilli Cooper, Jackie Burns, Jennifer Laura Thompson and more. Check out the photos from the special's taping below, and make sure to tune in to A Very Wicked Halloween October 29 at 10PM on NBC. 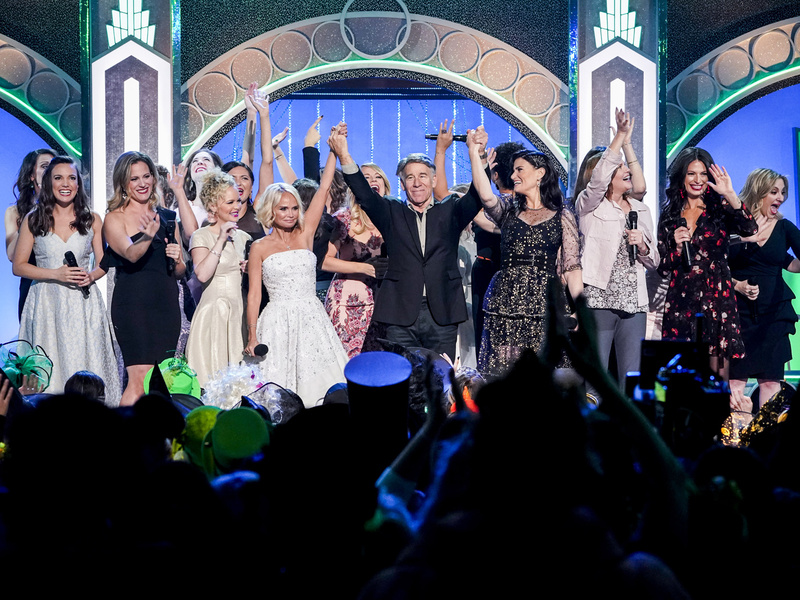 Original Wicked stars Kristin Chenoweth and Idina Menzel host the anniversary special. 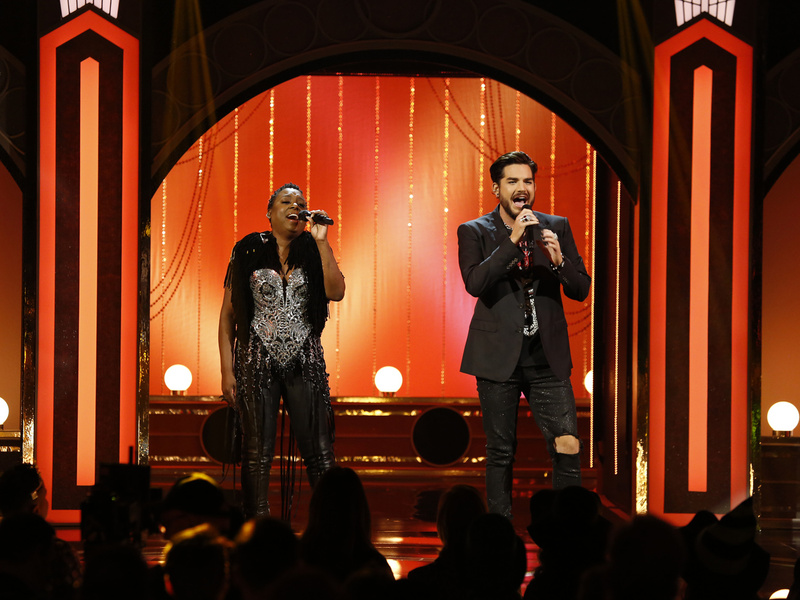 R&B singer Ledisi belts alongside American Idol runner-up and former Wicked tour cast member Adam Lambert. Ariana Grande sings "The Wizard and I." 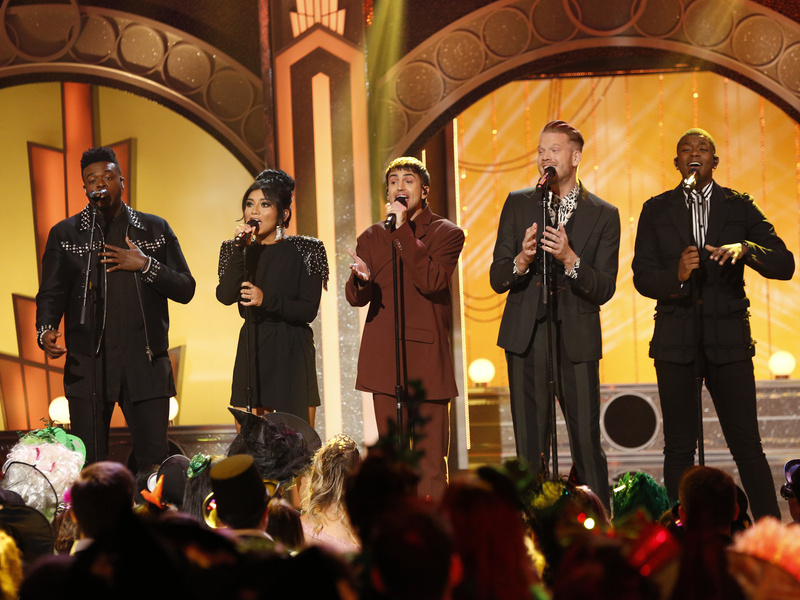 A cappella group Pentatonix performs. 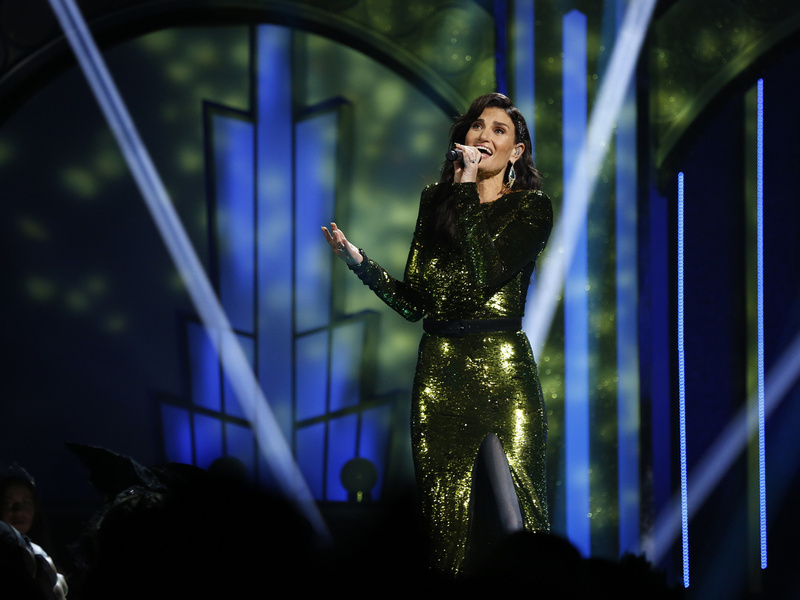 Wicked Tony winner Idina Menzel serenades the audience. Idina Menzel and Kristin Chenoweth reunite with a duet. Wicked composer Stephen Schwartz joins the show's current and former stars for a bow.